We had a big family group that enjoyed this well designed property with its lovely pool and proximity to the beach. The bedroom and bathroom layout is superb. The property, however, needs care. The two top floor king mattresses are tired and sag ( a comment on a previous review.) The paint on the master bedroom ceiling is stained around the pot lights. The pool furniture is very frayed and one seat is caved in. The barbecue was so dirty that it caught fire when we used it. The barbecue implements are rusted. There is no light above the barbecue, so we used a phone light in the absence of a flashlight. The slip covers on the living room chairs are dirty. There were several other smaller things that I assume are fixed by now (broken fridge drawers, oven drawer stuck, two piece toaster instead of four for a place this size, etc.) Charles C.
My wife, 5 young kids and I all really enjoyed our stay at this house. We especially loved the pool, hot tub, and the short distance to the beach. We brought up a couple of minor issues, and the management was right on top of them. We are looking forward to returning next year! We are happy to know that you enjoyed your stay with us at Sea Oats and that our staff was helpful. We hope to see you again next year! The home was spacious and very nice. Location was great as it was a very short walk to the beach. Overall experience was great with the exception of the neighbors behind the property. They felt our kids were too loud during the day. We have rented this property before so we were familiar with it. Since we rented previously, the code has changed and the bathroom off the pool area is no longer available. This was a minor inconvenience because we had young children who spent long hours in the pool. We paid an additional amount to have the pool heated a little warmer for the kids and that was a good decision although we did have nice weather. Upon arrival we had no electricity in some areas of the house but the realty company sent someone out promptly. 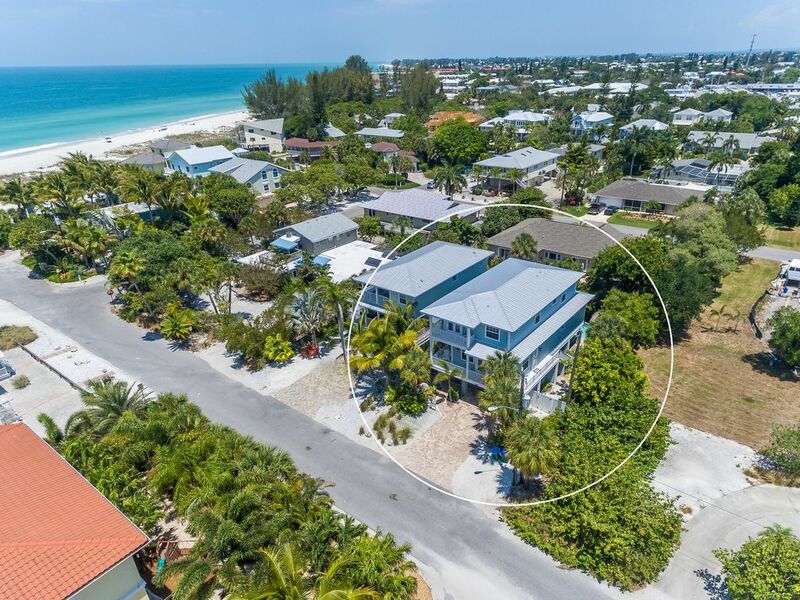 We love the location of this house, near beach, grocery store, CVS, and beach cafe. We had 9 adults, a two year old and 2 9 month old babies. There was plenty of room to house the children separate from parents. And the grandparents didn't hear a thing at night when the babies were crying (we slept downstairs). Were able to make use of the hot tub after the pool guy gave us some tips-- the weather was cold, so the pool wasn't used at all. Pool is shaded all day which makes it even colder when the weather isn't good. Walk a block to the beach-- beautiful and so convenient. We could be together but everyone could still do their own thing. Driveway faces south so we were able to be very warm in the sun even though it was 50's and 60's--- just wheeled our lounge chairs out and sunned that way,. Had a couple of issues with propane and ice cube maker-- called the office and they acted immediately to replace the tank and bring us ice until the ice maker was fixed. Awesome staff. They also had some beach chairs and a cart to pull to the beach. Only thing negative was having to buy toilet paper and salt and pepper and basic spices. Seems like a place of this price should provide these basic things. Loved our stay. Would definitely come again. *** VEUILLEZ LIRE AVANT DE RESERVER EN LIGNE: Pendant certaines périodes de l'année, et / ou en fonction du calendrier de réservation actuel de cette propriété spécifique, nous programmons normalement nos locations pour commencer ET terminer un samedi. Cependant, il y a des moments tout au long de l'année que nous allons accepter les réservations hors date en fonction de quelques facteurs. Si vos dates de réservation ne sont pas flexibles et ne répondent pas à notre exigence du samedi au samedi S'IL VOUS PLAÎT ENVOYEZ-NOUS UNE DEMANDE vs faire une réservation réelle. Nous ferons tout notre possible pour répondre à votre demande. Nous nous réservons le droit de ne pas accepter une réservation qui ne répond pas à nos exigences, mais nous nous efforcerons de le faire. Veuillez noter que l'un de nos agents vous contactera par téléphone et / ou par e-mail pour confirmer les détails de votre réservation avant 17h HNE du lundi au samedi. Si votre réservation est faite en dehors de nos heures d'ouverture normales, nous vous contacterons le jour ouvrable suivant. Merci, Anna Maria Island Hébergement, Inc. *** Un dépôt de garantie remboursable de 800 $ est exigé lors de la réservation de la propriété. 30 jours avant votre arrivée, le total des frais de location, nettoyage, et taxe de 12% sont dus. Nous avons des frais de réservation de 75 $ que nous ajoutons à ce total; Cependant, si vous payez par chèque, nous renoncerons aux frais de 75 $. Des frais non remboursables de 150 $ seront exigés pour les animaux domestiques. Vous recevrez une confirmation avec tous ces détails.